Hey Gang! So, I just got a really good question that came into the old GeekGirl email inbox (geek.girl@earthlink.net for those of you who are new here! ), and I thought I'd share it with y'all because it might be a common question: "...quick question for you - do Blu-Ray players work on regular tvs or do you need an HD TV ? there are some great deals on players and I want to pick one up, but my tv isnt HD." Blu-Ray players are meant for HD tv’s just because the picture is so stunning and has such great resolution, and thus they come with HDMI cables that eliminate the need for the old RCA (the yellow/red/black/white cables that you currently use for your DVD –to-TV connection. However, I’m pretty sure that you CAN still use the old RCA cables to connect to a regular TV, and then if/when you eventually upgrade to an HDTV, you can just swap the cables. The outputs on the image at the very top left that are green, blue and red are HD outputs, as is the HDMI output at the bottom. 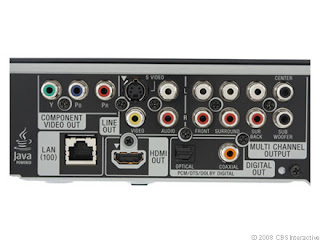 But right above that HDMI output is the “LINE OUT” box, which still has either the S-Video option (which works with normal TV’s if you have an S-Video input) or just the standard yellow, red and white video inputs. This means that you can use it with your non-HD Tv! GeekGirlLive Holiday Gadgets Video Blogcast: Recap & Replay! 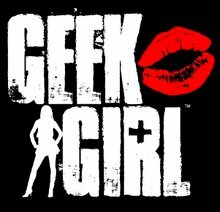 YOUR interaction made this 1st official LIVE GeekGirl blog-cast a HUGE success, and we had a LOT of viewers and peeps in chat giving me feedback! Thank you all for joining and I can't wait to do the next one! As promised, I'm also working on the written list of the 10 items (and bonuses!) that we discussed. I will have that posted here by EOD as well! Sunday, Sunday, Sunday! GeekGirl Holiday Gadgets LIVE Video Blog! Got some last minute shopping to do? Still owe someone your own holiday wishlist? Protesting the last minute holiday shoppers on the last weekend before Christmas by staying home in your comfy pants and/or Snuggie? Well, have no fear, it's FINALLY here! Tomorrow (Sunday 12/20/09) @ 11:30 a.m. PST I am going to be broadcasting LIVE on my USTREAM CHANNEL about my fave picks for holiday gadgets! Go to my USTREAM channel at 11:30 a.m. PST on 12/20 by clicking HERE. You can join in all the LIVE fun by Tweeting your questions/comments at me or we might even open up the chat on USTREAM if we feel like it! You can also post comments here on the blog entry that I will post on www.GeekGirlKnows.com as soon as we go live tomorrow, and I will make sure to check in on them throughout the broadcast as well. Oh, and don't worry if you can't make it. I will post the video (USTREAM lets you record your live feed and then embed it-how cool is that?) RIGHT HERE on the blog as soon as it's over and you can watch it as many times as you like. So, if you have any suggestions or things that you want me to mention as great techy or tech-inspired or anti-tech holiday items, Tweet at me here: twitter.com/GeekGirlKnows OR post a comment below and I'll check them before we go live. GeekGirlKnows on Inside Dish with Ross Mathews-The Video! Stay tuned-info about our LIVE USTREAM BROADCAST where we will talk all gadgets holiday is coming up in the next few days just in time for those last minute shoppers! On the Inside Dish set! 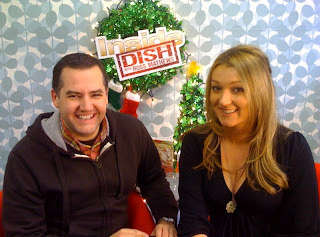 GeekGirl on Inside Dish with Ross Mathews! Guess what guess what? RIGHT this very moment I'm getting all dolled up to go shoot an episode of Inside Dish with Ross Mathews, one of my nearest and dearest friends and an old co-worker on The Tonight Show with Jay Leno. I'm super excited, and we are going to give a sneak-peek of my holiday gadgets episode and might even ustream a bit while I'm there! I'm taking the laptop just in case. Ok gang, keep checking in. I'll let you know after we are done shooting when we the episode will air this week on the Inside Dish website! GeekGirl, uStream Test and an artichoke. Yes, that's right, an artichoke. Now that I know it works, we are setting up a LIVE video Q&A in the next 2 weeks where you guys can ask me all your questions! I think I'm going to do my holiday gadgets episode LIVE with you guys! Fun, right? Here's the permalink to my ustream channel: http://www.ustream.tv/channel/geekgirllive. I'm still working out the kinks but so far, so good! Got any tips for me now that I'm a Broadcaster? Hey, I like the ring of that! Broadcaster! GeekGirl Live has just opened up a whole new world for us, GeekGirlGang, and we're going to take it by storm! Back in the Blog-s-sphere & Twitterverse! There's good reason for my long absence from the blog/Twittersphere, and hopefully something will be inked and final in the next 2 weeks and if so, I'll be able to share it with y'all! In the meantime, lots of changes are going on in my world, and ALL roads point to MORE GEEK GIRL VIDEOS for the holidays AND for the New Year! Any tips, suggestions or requests, GeekGirlGang, on topics you'd like to see discussed? I'm also considering doing a live, streaming chat a la my dear friend Ross Mathews (click HERE for his blog, and see below this paragraph for our live chat re-broadcast below from his Jay Leno Show dressing room backstage last Friday). What do you think of the u-stream software? Should I use the same software? Does anyone have any suggestions for great live streaming software with chat tools/features, etc.? I want to know! I've missed you, GeekGirlGang, and can't WAIT to get all of this new stuff (and hopefully the good news I hope to share!) out there to YOU guys, the people who inspired this blog in the first place! Post your comments in the COMMENTS section below, OR email me at geek.girl@earthlink.net! Very Cool-Comic Book Artists Illustrate Sci-Fi Legends! Just wanted to share this link!